Ellie wakes up from a nightmare where Spinelli confronts her about Maxie’s baby. She apologizes, and tells him it was just a bad dream. Spin comments she was saying Maxie’s name, and Ellie admits it was about the second embryo. Maxie sees herself in a Crimson ad about a woman and her child. Connie complains about Maxie’s lack of focus, and then admits she’s upset because someone is moving in on Sonny. She explains she pushed Sonny away, and Olivia may be stepping in. Maxie explains her complicated situation with Spinelli to Connie. She advises Connie not to wait, and get Sonny back immediately. However, she wonders if it will make Connie lose her mind again. Connie thinks she should check with her doctor to see if it is okay for her to reunite with Sonny. Lulu has a nightmare her baby is gone, but Dante assures her it’s just stress because they are nearing the end of the pregnancy. He shows her a gift he got for the baby, and Lulu jokes he’ll be very strict with his daughter. Lulu worries about not having a name for the baby. Sam has a daydream where Silas tells her no one was a match for Danny, but snaps out of it in time to give her sample to Brad. Sam runs into Michael, who’s at the hospital for his test. She asks him about Kiki. Michael explains who Kiki is, and mentions they don’t get along. Kiki dreams of Michael in her bed, and wakes up upset when he isn’t really there. However, she can&apos;t tell Morgan the true reason for her emotional state. She claims she’s upset about her parents. Morgan tries to kiss her, but she backs off. She needs to get to the hospital to be tested. Olivia questions Sonny about the kiss they shared, and she’s certain it meant nothing. Sonny, however, confesses it felt right. Olivia tells him Connie still loves him, but Sonny feels Connie has moved on. He believes he needs to as well. He feels things are easy with Olivia, and they kiss. Olivia soon breaks the kiss, and makes an excuse to leave the room. Sam runs into Silas, and wonders why he’s at the hospital. Silas informs her Monica offered him a position as Head of Oncology, and he accepted. He points out it means Rafe doesn’t have to leave. He also tells Sam her original Oncologist has been fired, and Silas is now Danny’s doctor. Sam hopes he’s as good as he claims. Ava drops by to see Kiki at the pool house, but finds Morgan instead. He tells her Kiki is at the hospital getting tested. Morgan admits he’s worried about Kiki’s feelings for Michael, and confesses to being in love with Kiki. Ava wants them to make it, and tells Morgan to buy Kiki an expensive gift. She even gives him her credit card to do so. Morgan thinks a piece of jewelry will keep Kiki’s thoughts away from Michael. Spin and Ellie run into Lante, who are joking about baby names. They inform them the baby is a girl. 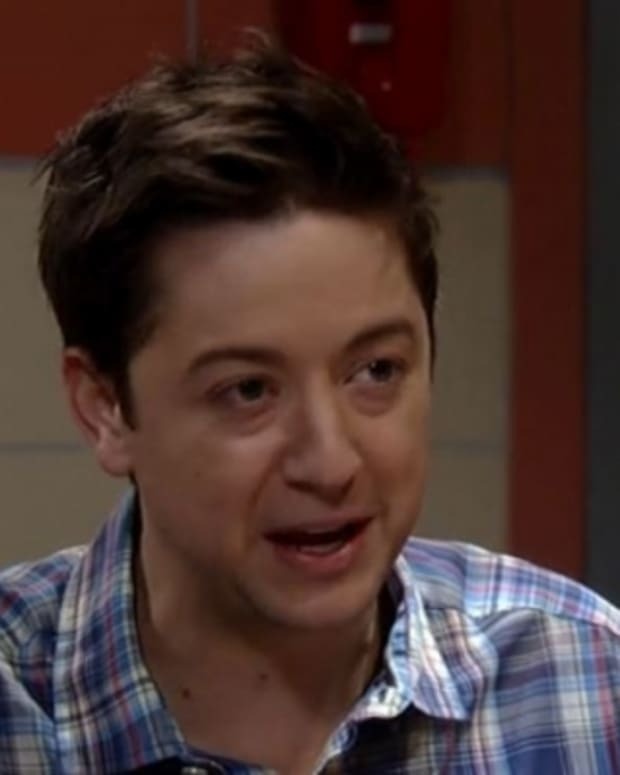 Spinelli gets sentimental, but later, alone with Ellie, apologizes for the baby talk. Kiki bumps into Michael at the hospital, and the two argue about staying away from each other. They end up kissing. Ava goes to the hospital to find Kiki, but finds Silas instead. It&apos;s obvious the two recognize each other.